Fall Version: Substitute red berries with bittersweet branches and autumn foliage. 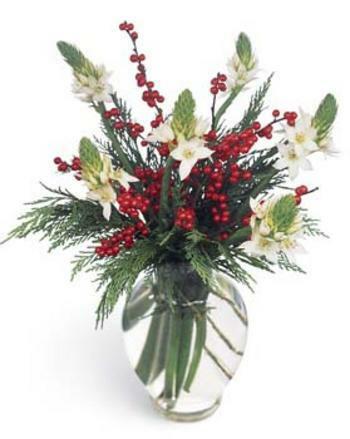 Winter Version:Star of Bethlehem, berries and Christmas greenery - an elegant way to send your special greetings. Arranged in a glass vase, this bouquet is certain to be a classic and welcome addition to the season's festivities.